Kim Hudson grew up in the Yukon, a father's daughter with a Cinderella complex. She spent many years exploring her masculine side as a field geologist and a First Nations' Land Claims negotiator before studying at Vancouver Film School, University of British Columbia, and the International School of Analytical Psychology Zurich. 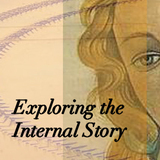 Kim's personal journey and scholarly inquiry combined to develop this theory of the Virgin's archetypal structure. Over the past four years Kim has given workshops and classes in the Vancouver area on the Virgin’s Promise. Understanding the internal side of your story conveys to your audience the depth that is felt emotionally and spiritually. Two authors, Jennifer Grisanti and Kim Hudson, offer insight into how to write the internal story into your screenplays and give them this compelling quality.